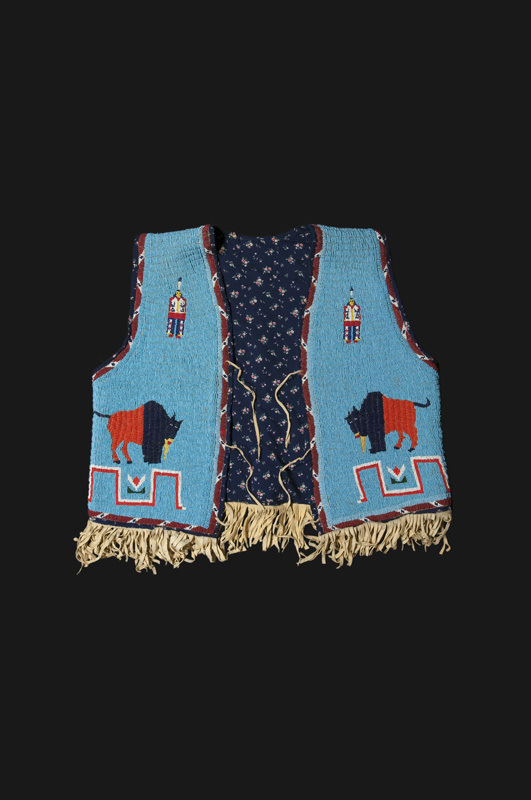 Vest worn by John Little Elk. This vest had no tags from August Hermans but can be seen on Little Elk in several different photographs and postcards. Hermans later wore the vest during reenactments.